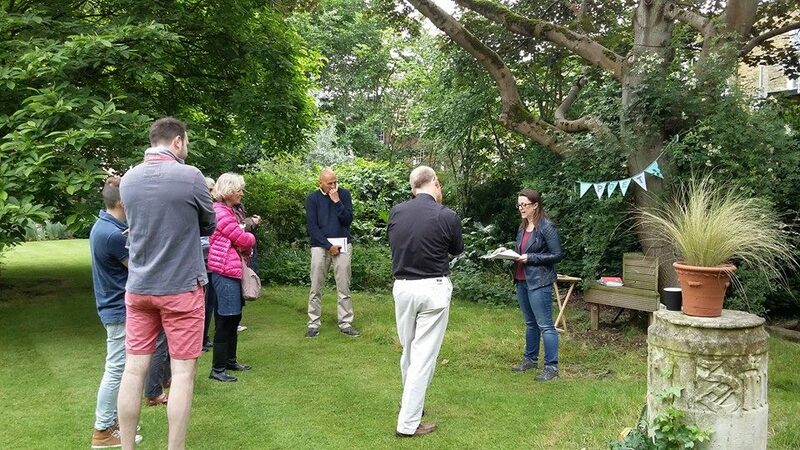 In 2016 I was fortunate to be selected for the Re-Mixed Borders program with London Open Garden Squares and The Poetry School. The project placed poets in 22 gardens across London for the months leading up to Open Garden Squares weekend in June. 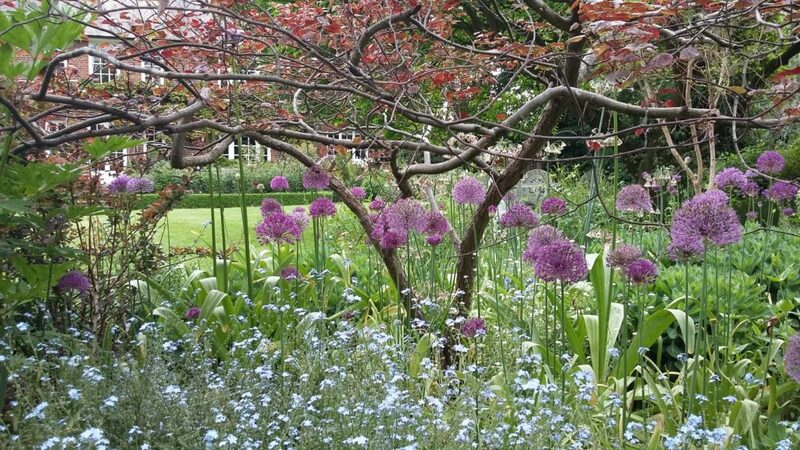 I was placed at All Saints Vicarage Fulham, where the stunning garden is lovingly attended by a team of part-time gardeners and volunteers, and used for all manner of church and social activities. The church itself is a treasure-trove of inspiration with a history going back to mediaeval times. The Thames flows close by as well, and so there was no shortage of material for writing. I visited the garden weekly from April and then spent all day there on June 18th, speaking to visitors and conducting two poetry readings. One of the poems written during the residency was published in issue 26 of South Bank Poetry, and several were collected into the Poetry School’s pamphlet of work from the project, available here. The poem below was written for the Vicar, Joe, and his partner. Their garden is often overrun by parishioners, but they do get to enjoy the occasional quiet moment there. head down the broad stone steps into the garden. and we’ll sip our wine and watch the falling dusk.